The bond between a mother and daughter changes over time, facing new challenges at every life stage. Whether your mother-daughter relationship is loving, fractured, fraught or all of the above, it's always going to be complex. 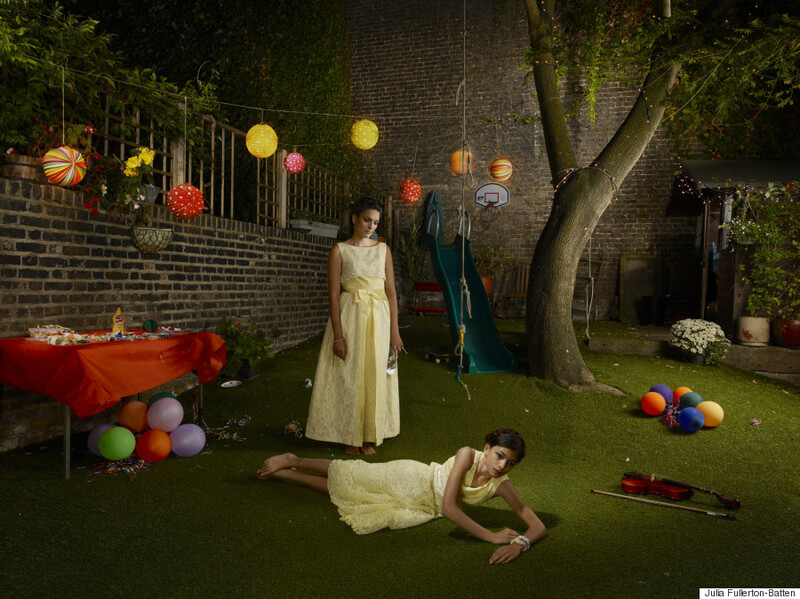 Photographer and artist Julia Fullerton-Batten tackles these relationship complexities in her 2012 photo series "Mothers And Daughters." Although Fullerton-Batten debuted the images a few years ago, the emotions they capture still resonate with any woman who has a strong relationship with her mother and/or daughter. The series features 20 real mother and daughter pairs at multiple stages of life, with varying degrees of closeness and distance. Each photo shows a pair of women in their own environments in order to capture the true emotional bond between the two. "I realized how much the fragility and vulnerability of females is exposed fully in the mother-daughter relationship," Fullerton-Batten told The Huffington Post. 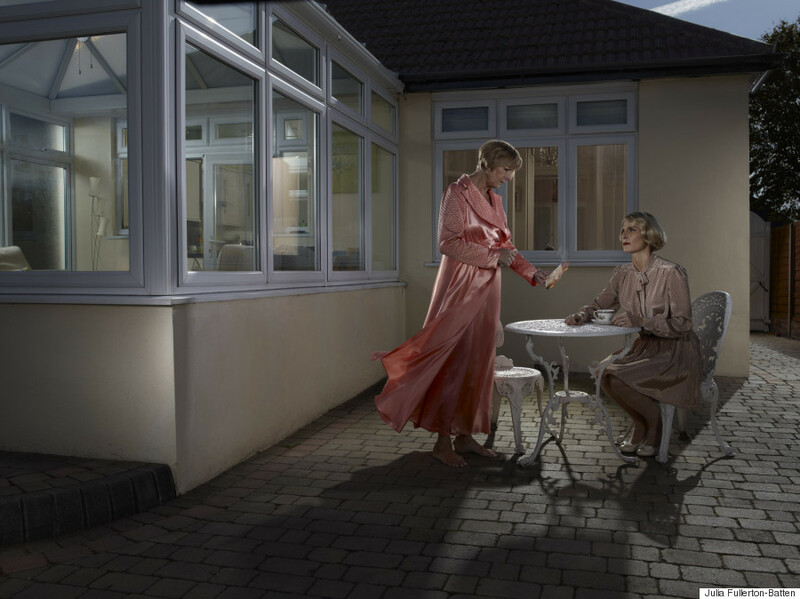 Fullerton-Batten said she gave some direction to the two women in each image, but also let the relationships of each mother and daughter inform the poses they ended up in. 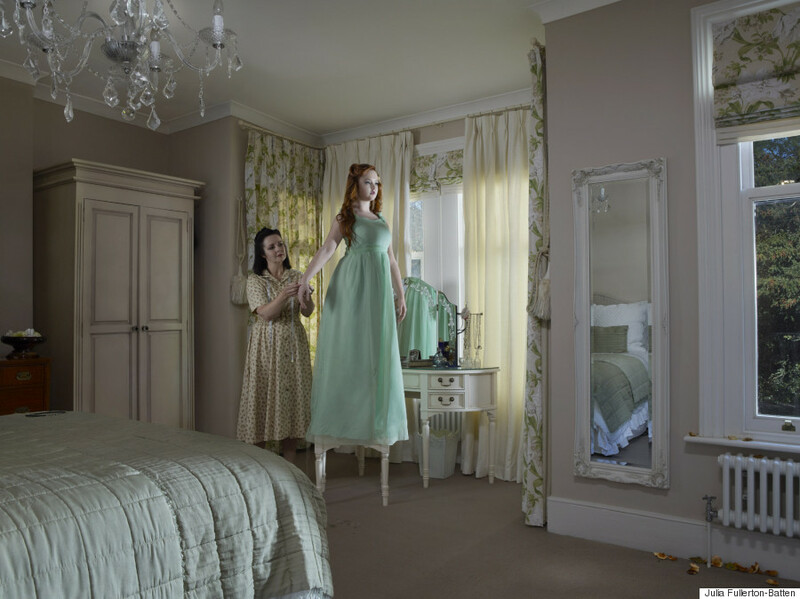 The final photographs expose a beautiful synthesis of Fullerton-Batten's perspective as a daughter and granddaughter, and the relationship of each pair of women. "Over passage of time the [mother-daughter] relationship changes significantly. The babe-in-arms is fully dependent on the mother, but at the other end of the age scale, the mother often becomes dependent on her daughter to satisfy her emotional needs," Fullerton-Batten wrote in her artist statement. "In the adult relationship the intimacy of the bond is established on the love, struggle and rivalry of a shared life-time, leading to a mature understanding and acceptance of each other. Between childhood and adulthood, the full spectrum of emotions is played out. My images try to capture all of these very different stages in this extremely special relationship." Fullerton-Batten said the project is "both documentary and biographical," as the series also illustrates her memories of her and her two sisters' relationships with their mother, and the relationship between her mother and grandmother. Check out 11 images from Fullerton-Batten's series below. Head over to Fullerton-Batten's website to see the rest of the series.